Artecy Cross Stitch. Hot Springs Cross Stitch Pattern to print online. 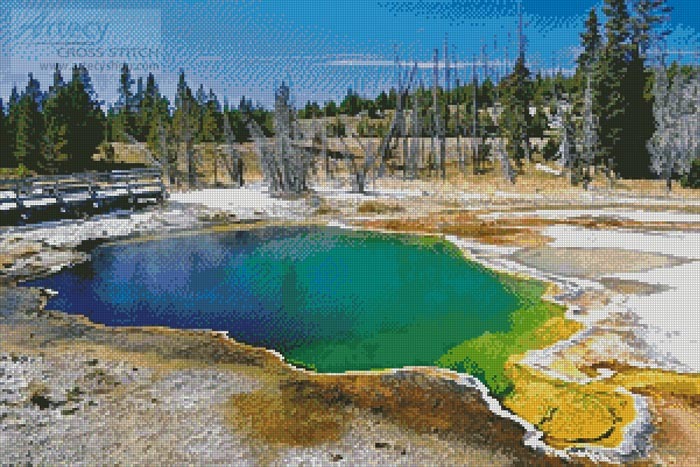 This counted cross stitch pattern of Hot Springs at Yellowstone National Park was created from a photograph copyright of Daniel Newcombe - Getty Images.